This lovely home won't last at this price! This contemporary home has 4 bedrooms, 3 baths Tri-Level with a 90% finished basement. Amazing open floor plan that is both light and bright!!! Granite filled kitchen with eating space that overlooks oversize family room. Large master bedroom with walk-in closet and remodeled master bath, 2 other bedrooms for kids/office. The basement (4th level) is nicely finished that can be a 2nd Master Bedroom with walk-in closet or Rec room. Very large privacy fenced back yard. Spacious 3 car attached garage. 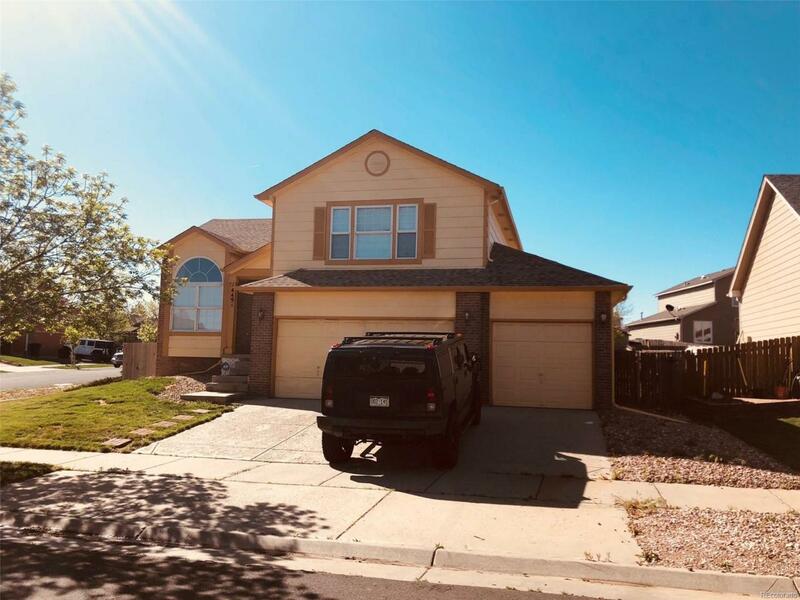 This home is walking distance to elementary schools, parks, light rail, DIA, shopping, health club & restaurants. This property will be sold as-is. Offered by The Charlton Co.